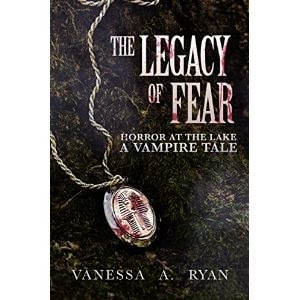 Vanessa A. Ryan's “The Legacy of Fear” is a vampire story that incorporates elements of suspense and mystery and has an Egyptology theme. The protagonist, Susan Runcan, has some time her on hands, now that she has a hefty inheritance, and decides to write a book to clear the name of her archeologist grandfather Lindon Runcan. When she heads to his mansion, a local landmark, in inland Southern California she finds herself in the midst of a years of secrets and intrigue, including mysterious killings. The book opens with a fair amount of back story and character development before letting the plot fully kick into gear, which I prefer rather than being thrust into a fast-paced plot without knowing the characters. The Egyptology theme made this book feel unlike any vampire book I’ve read, in a good way. If you want a fresh vampire novel with interesting characters and a unique premise, then you’ll enjoy this book!